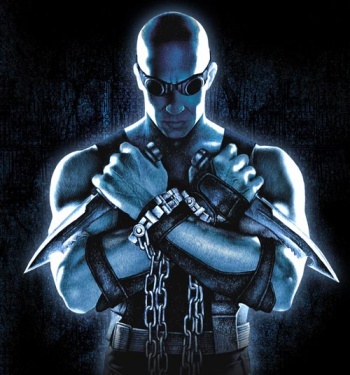 According to Hollywood gossip, the new Chronicles of Riddick movie has been all but killed thanks to money problems. The next Chronicles of Riddick film has had a long, drawn-out, rocky development. From the sound of things, money's been a constant issue; things have been so tight that Vin Diesel went on record to consider working for scale in order to make an R-rated movie. Now, it sounds like the movie's actually been shut down because of financial issues. TMZ got in touch with Michel Trudel, the owner of the studio in Montreal where the film is being shot, who apparently changed the locks and kicked everyone off the set last Wednesday. According to Trudel, the lock-out occurred because production company One Race Films (which was founded by Vin Diesel) has failed to pay its fees on time. On top of this, TMZ is claiming that "sources connected to production tell us several members of the crew have not been paid in over 2 weeks ... and are very concerned about getting their money." One Race Films and Vin Diesel himself have yet to comment on the situation. However, Trudel told TMZ that he's positive he'll get paid soon and will then be happy to let the movie's production resume.